There are certain weeks you look back at with fondness, and this was one of them for me. Yes, it was my birthday on Monday and I got a few much-appreciated presents, but that's really not the reason. When I stop and think about the common themes in those special weeks, I always come up with time spent with family and friends, time spent exploring and, of course, good food. I have covered all our visits and travels in my other posts this week, but here's a quick Friday summary using our cell phone photos. My husband took this photo, above, while visiting my parents at the cottage. I just love it. I think it speaks of the joy of childhood, summertime and the beach. We also went with my parents on a day trip to Port Dover. Another wonderful day with family, enjoying the beach and a picturesque beachside town. We had a barbecue at my parents' place. 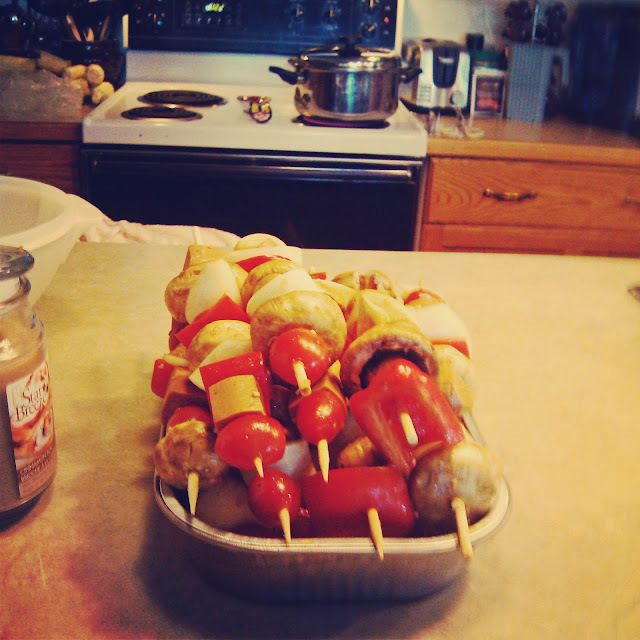 My daughter snapped this pic of the shish kebabs ready to go on the barbecue. Once we get near to the cottage we always travel the last bit of the way via the lakeshore. I love to see the lake and admire the cottages for sale. 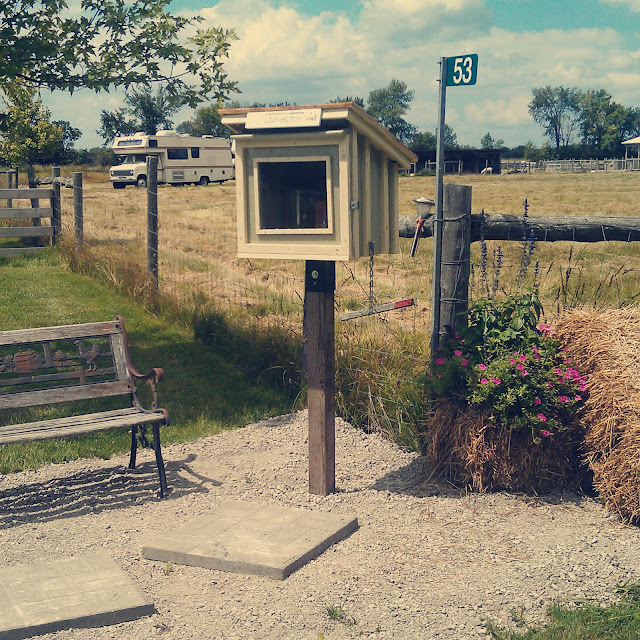 On this last visit, I was surprised and delighted to find this little free library. I never expected to find one out in the country. Buying one isn't in the budget for us, so I asked my husband if he might make one. We came away with one book, Stuart McLean's "Home From The Vinyl Cafe." These are great stories for families. We listened to a whole bunch of them on CD while driving to Nova Scotia one summer. My mom had a few books to get rid of so I brought them to the little library on our way home. Another photo that speaks to the joy of childhood. This one's from our visit to my sister-in-law's house. 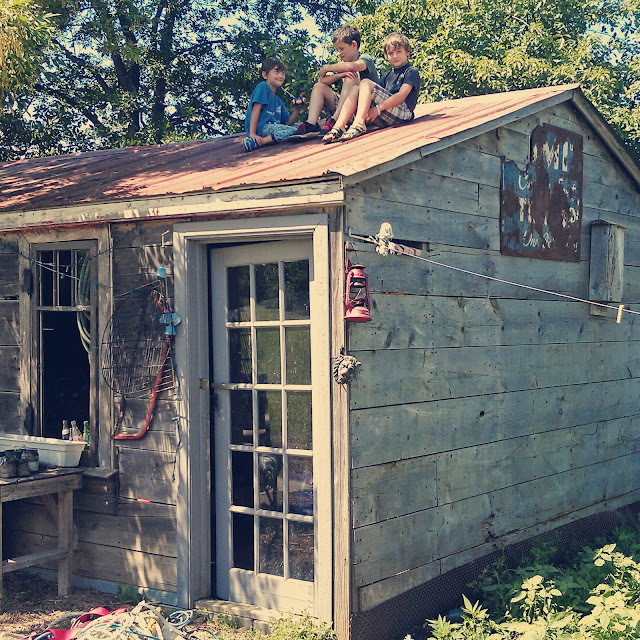 My son had so much fun hanging out with his cousins (sometimes on the roof, apparently). Back at home, I found this little scene in our garage. I guess it's not enough that we have six bikes for four people. 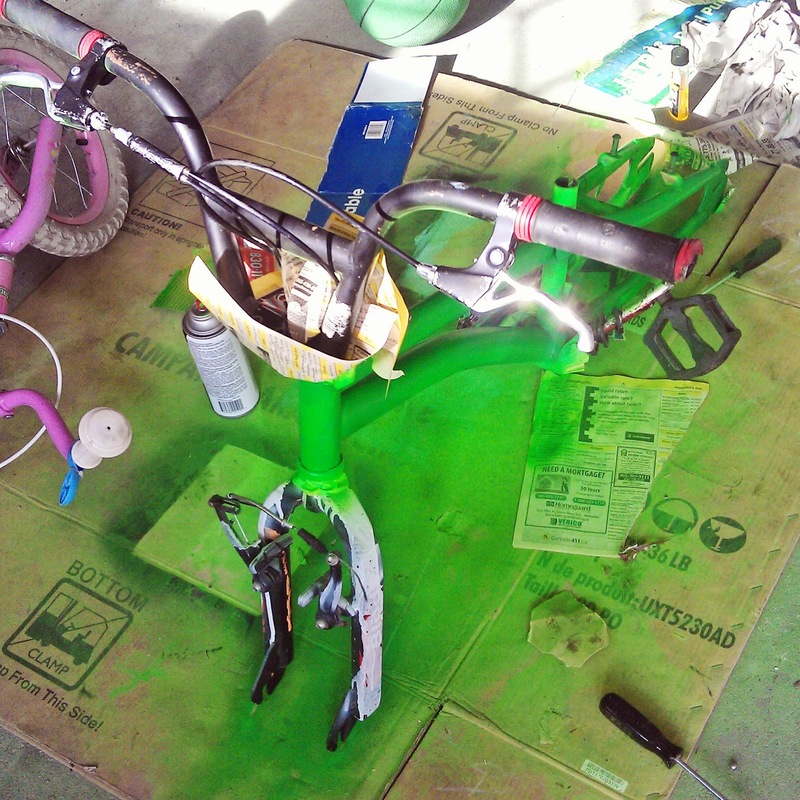 Now there's a dismantled, half-painted bike too. It remains to be seen whether the boys will ever finish this project! How was your week? What makes a memorable week for you? Happy birthday! A good time to look back and appreciate the joys of childhood! Love the Free library! I love how they even put out a bench next to the free library and decorated with flowers. So thoughtful! great photos :) My parents would have yelled at me to get off the roof but being on a roof like that is like a rite of passage! I've never heard of Little Free Library so I'm going off to google it now. Thanks! I probably would have made them get off the roof too. It's a good thing it was my husband who saw them. ;) My parents were VERY safety conscious and it rubbed off on me! I always love all your pictures on here. the rooftop pic is one of my all-time fav of yours! Happy birthday Jo! It does look and sound like it was a wonderful week. 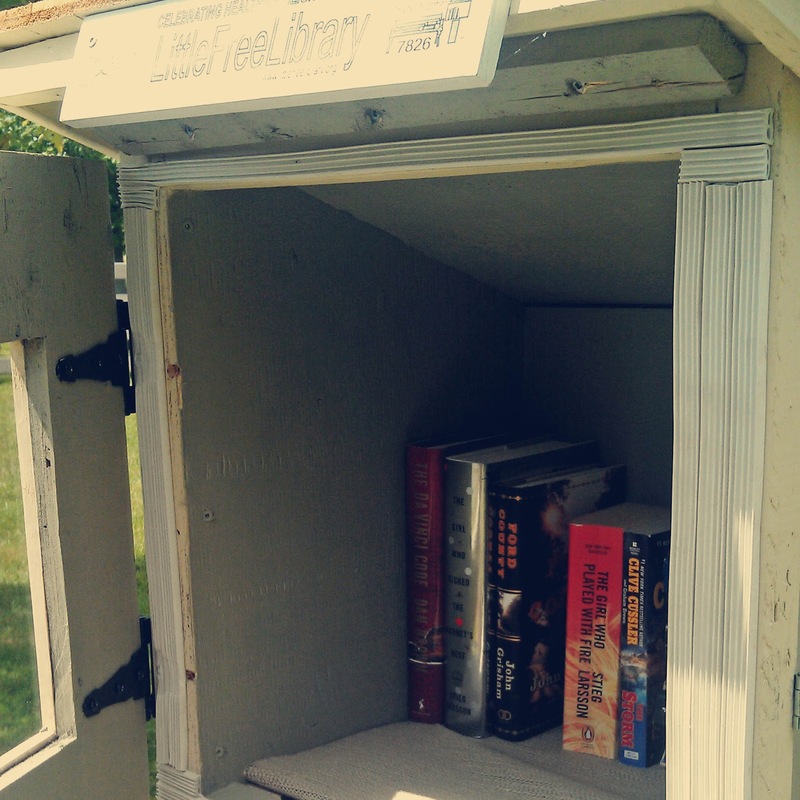 I love those little free libraries. Nick and I were just talking about them the other day. Such a great idea. That book you got looks like a good one. 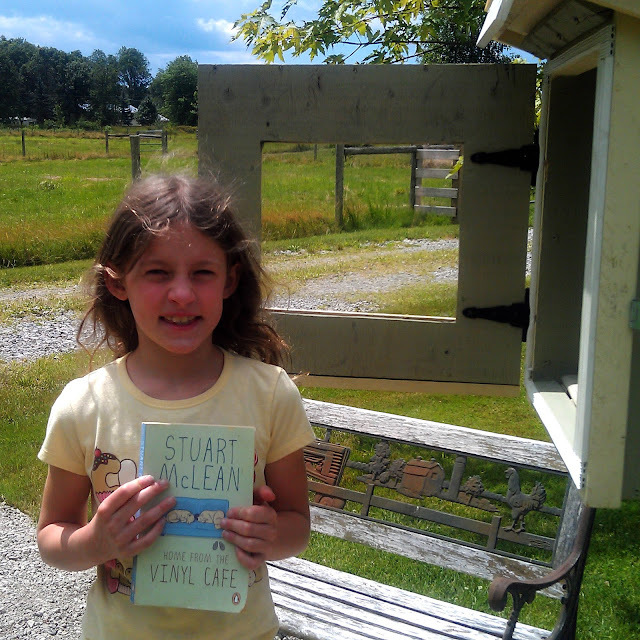 Do you have the little free libraries in your area? I bet there are more in the city. I haven't seen any in my area yet. Happy belated birthday! We have some of the free libraries here, too. I love them! My memorable times always involve friends, good food, and drink. Or time alone, away with Heath. I'm sure I"ll add family vacations to that list someday but we haven't taken one yet! 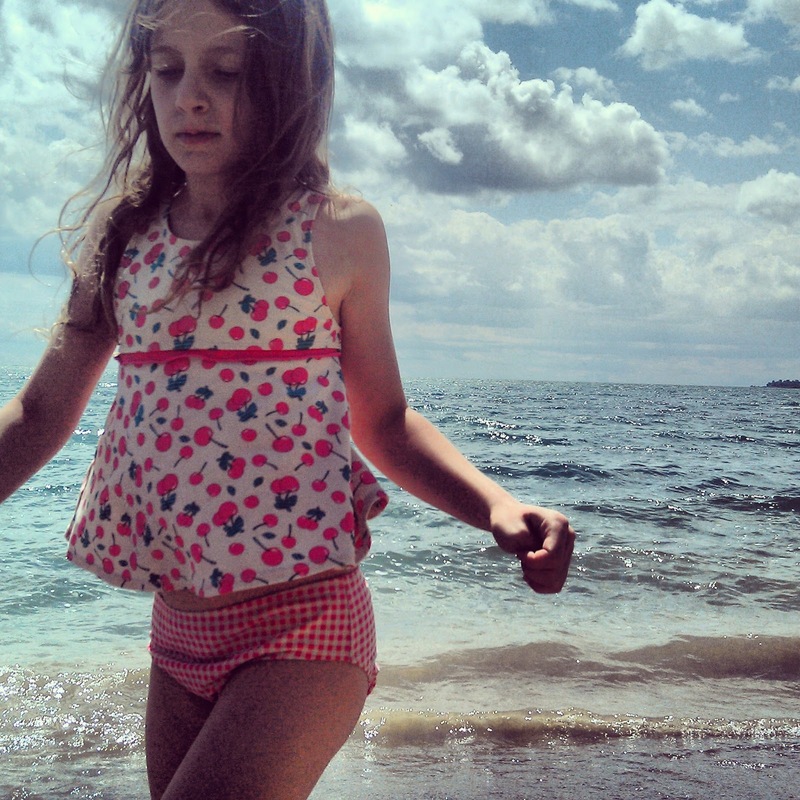 Oh wow those pictures bring me back to when my kids were younger and even my own childhood summer days! You captured it perfectly! And I love the Little Library idea too. I don't know if it would work for us (unless our cow neighbors suddenly get literate, which would probably lead to all sorts of complications but may, in fact, suit a Little Free Library) but I love the idea of it! Love these pics!! 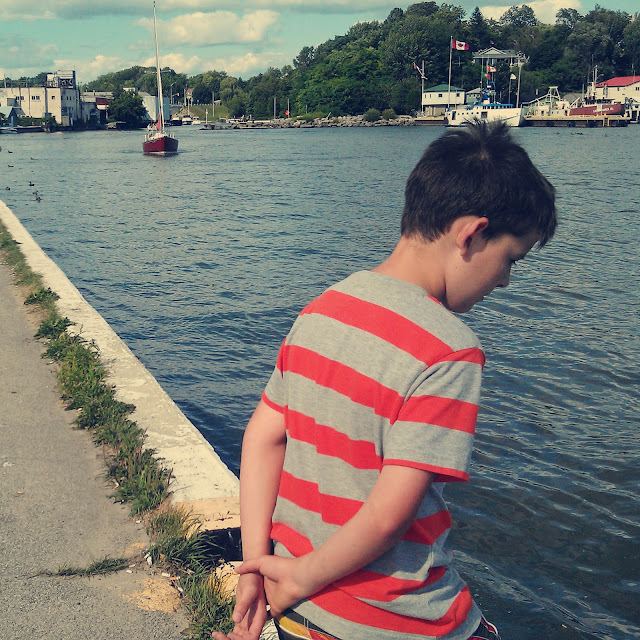 Kids are really so happy and carefree in the summer, aren't they?. When we were watching the boats at the locks in Sault Ste Marie, Michigan last week, one of the ships was registered Port Dover! Yes, they are loving the summer! Happy Birthday! What a wonderful summer you are all having.